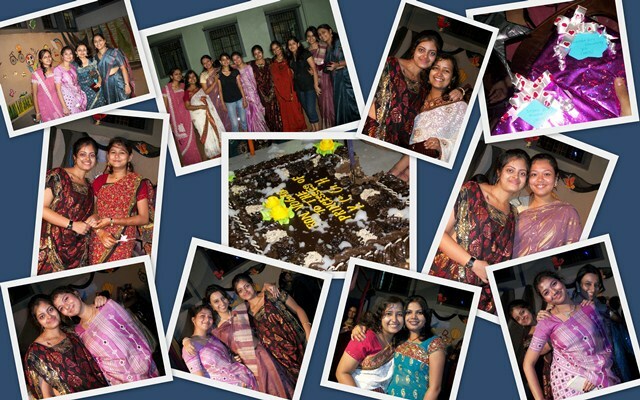 some moments from our farewell party! When you have a famous author as your grandfather along with historically significant painters and photographers on one side of the family and intellectuals and high achievers on the other...a person like me is a mere black sheep! A graduation in engineering and a post graduation in Analytics could only make me one shade lighter...Gray zoned! "Sa'matri'yoni" is thus a tribute to the Creator...to the Mother...to Nature. Sa'matri'yoni is my way of looking at life. Its a blend of reality and imagination. A thousand thoughts put together...a million images assembled into one... Its about my world, your world...and our lives! Design by Sayani Mukherjee. Awesome Inc. theme. Powered by Blogger.